Gather your friends around this Greenfingers Loreto 150cm Round Table for an evening of fine wine and good food. Attractive in appearance this table offers plenty of room for everyone as is bound to bring compliments. 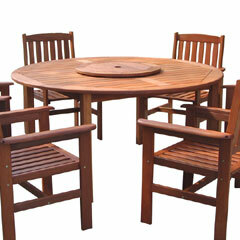 See all wooden patio tables.